"MELANY" wants to be your new best friend! MELANY is a Beautiful approx. 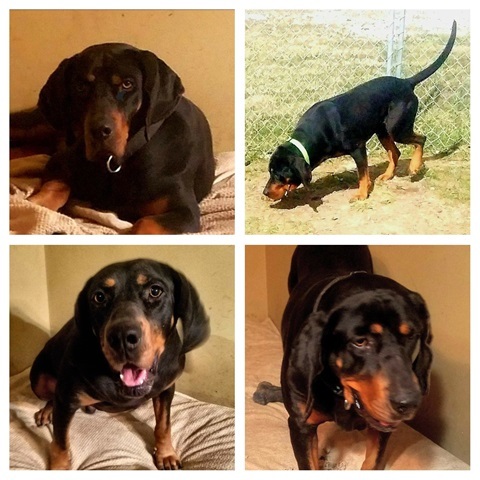 2 year old Black and Tan Coonhound! She thinks she is a lap Dog and loves to snuggle and be close to her people! She enjoys playing with other Dogs and has a super sweet disposition! 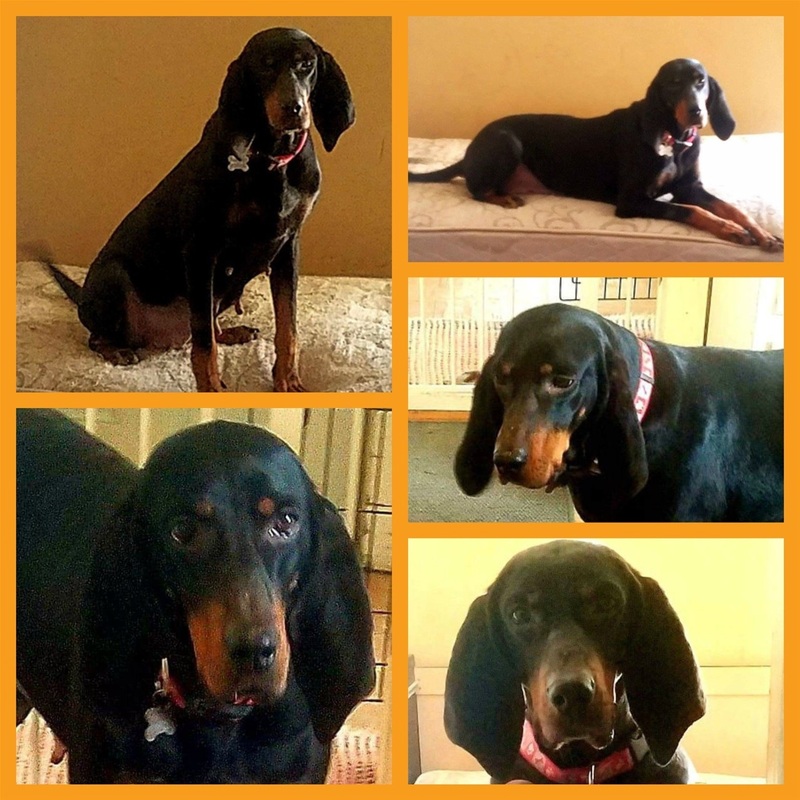 She is quiet and well behaved in the home, is crate and house trained and is looking for a family to love and spoil her forever! She is spayed, up to date on vaccinations, heartworm negative and microchipped! A fenced yard is required. Fill out an adoption application today! "DALE" would love to be your newest family member! 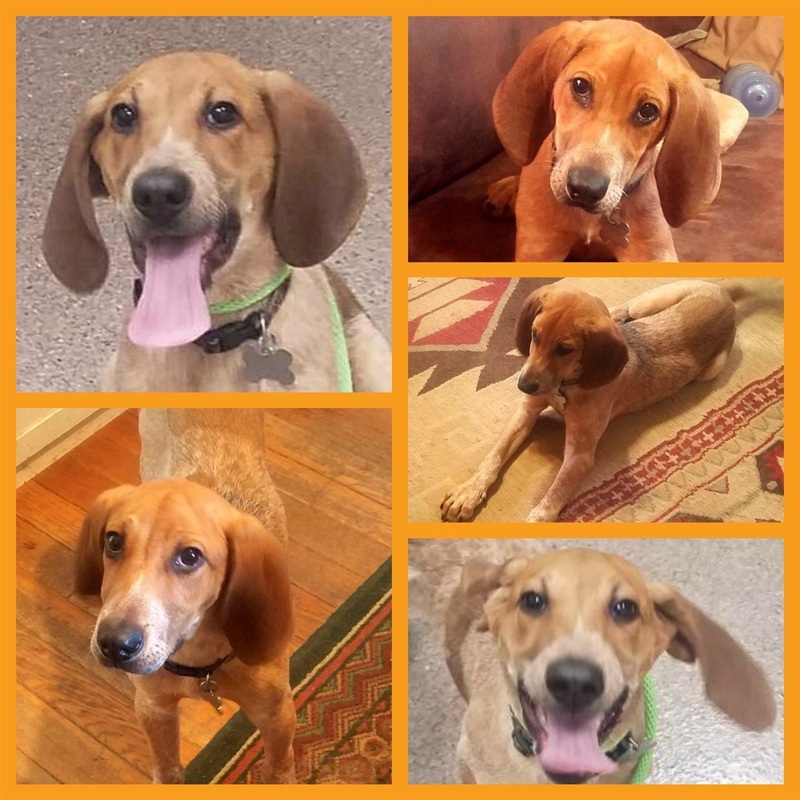 Dale is a 4 month old English Coonhound puppy and is as cute as can be with a personality to match!! He is playful, happy and loves other Dogs and people! He is not having accidents in his crate and is also doing very well on house training! Dale is very well behaved and quiet in the home! He enjoys playing with other Dogs, chewing his toys, cuddling on the couch and getting belly rubs! He is neutered, up to date on vaccinations and microchipped! He is looking for a family to spoil him and love him forever! Fill out an Adoption Application today! A fenced yard is required. ZACH is an Adorable Puppy looking for a Forever Family! ZACH is ready to find his Forever Family! 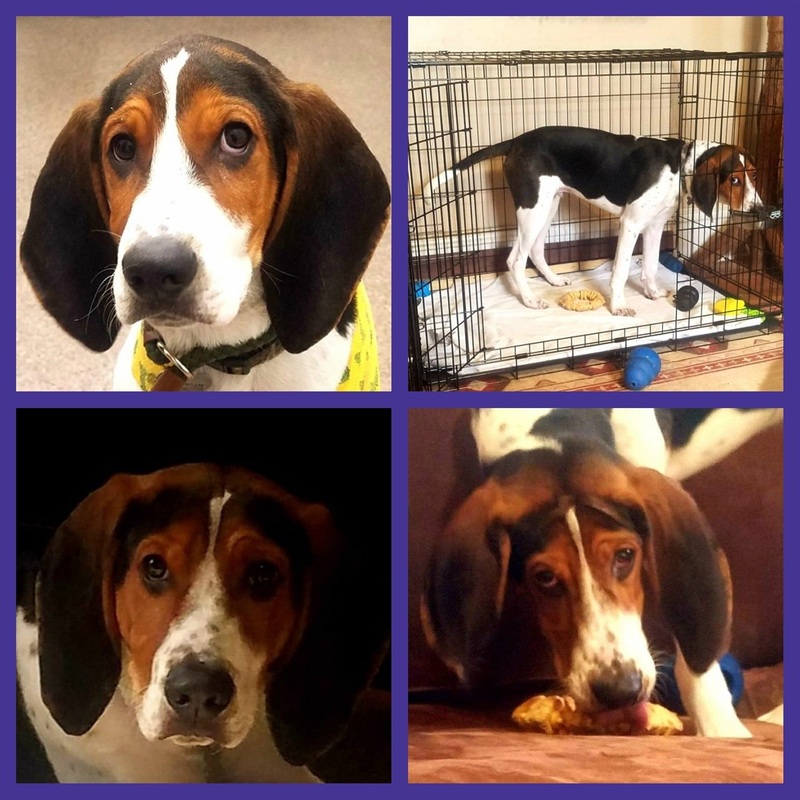 Zach is a 7 month old Treeing Walker Coonhound Puppy that is as adorable as can be! He is a sweet, loving and playful pup with a happy go lucky personality! He loves the company of people and other Dogs and is doing very well on his house and crate training! He is looking for a family to continue with his training and teach him even more new things!! He is neutered, up to date on vaccinations, on heartworm preventative and microchipped! A fenced yard is required. Fill out an Adoption Application today! SHERMAN would love to find a forever family! Handsome and huggable "SHERMAN" is looking for a Forever Family! SHERMAN is an approximately 2 year old Black and Tan Coonhound mix. He is very loving, well behaved and quiet in the home and has an adorable personality! He loves the company of other Dogs, enjoys belly rubs and getting lots of attention and just lounging around on the bed! He is neutered, UTD on vaccinations, heartworm / lyme negative, microchipped, house and crate trained! He will make a wonderful addition to your family! Fill out an adoption application today!! A fenced yard will be required. "WAGNER" would love to be your new best friend! "WAGNER" is an approximately 2-3 year old Treeing Walker Coonhound. 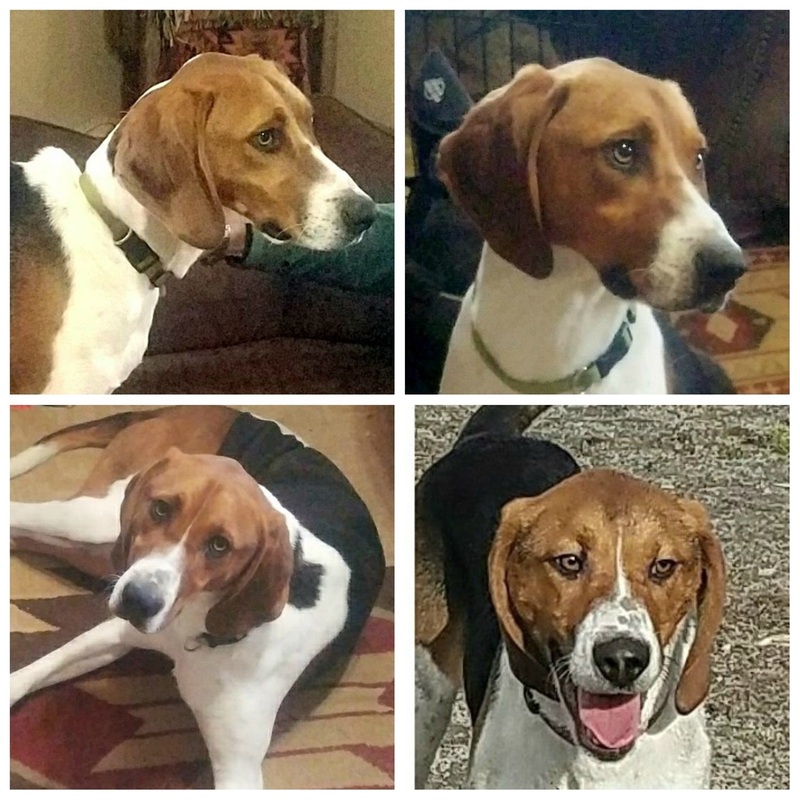 He is a beautiful boy and is very playful and fun loving with a very gentle personality! He enjoys playing with other Dogs and loves to get lots of attention from people! He is house and crate trained, neutered, up to date on vaccinations and heartworm negative. A fenced in yard is required. Please fill out an Adoption Application today!